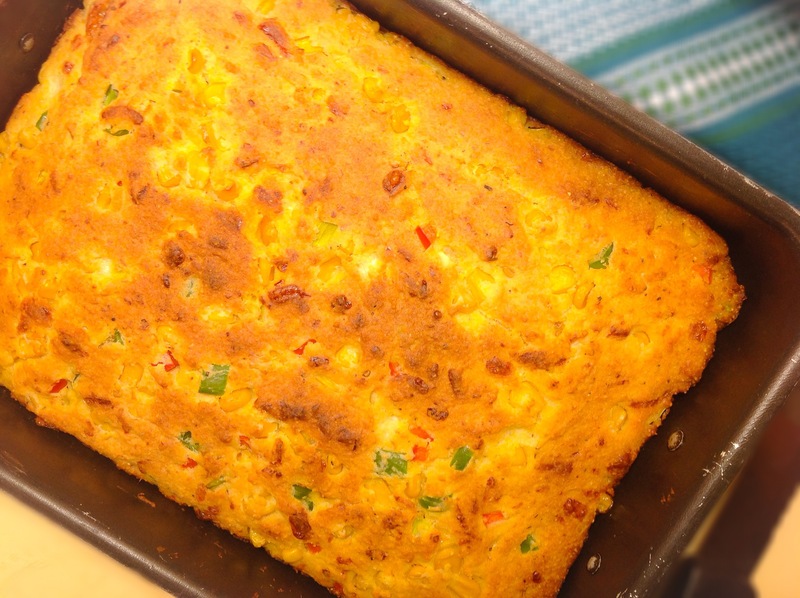 Cornbread, although not so popular in Malta, is ideal for Celiacs as it is made with a mix of cornmeal (polenta) and gluten free all purpose flour. It is a great accompaniment to soups, served warm with some butter. But the best thing is that it is so easy to make! So if you haven’t tried it yet … just get baking ! 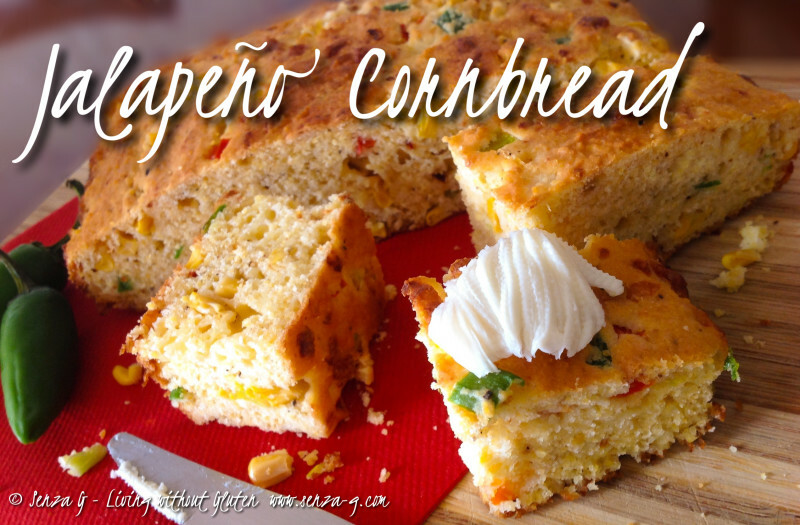 I love mine flavorful, so I added spring onion and capsicum to it. Also, if you like it very cheesy, just add more cheese. Combine cornmeal, flour, baking powder, baking soda, and salt in a medium-sized bowl. In another bowl, combine the yogurt, egg, honey, and melted butter. Stir the wet mixture into the dry and combine gently. Add the corn, cheeses, onions, capsicum, the jalapeño pepper, salt and pepper. Mix thoroughly to combine. Mix will be thick. If you find it is too difficult to stir, just add a dash of milk. Pour a little oil, about a tablespoon, in a baking pan, grease the sides too and place in the oven. Leave until oil gets hot. Take it out, and carefully spread the mixture in the pan. Be careful as it will sizzle. It will look flat, but don’t worry it will rise in the oven. Put back in the oven and bake for 20 minutes, rotating the pan halfway through. The top should turn golden and the edges start to brown. Serve warm or even at room temperature, with butter if desired.